A 4000 mile trek from Bellingham, Washington to the Arctic Circle – that is the story of The Sun is a Compass, a title which refers to the ways in which birds use the sun to navigate their paths. This is an adventure story despite, or perhaps because of, its many pages of complete tranquility. Caroline Van Hemert, the author, begins this tale as a Ph.D. student in ornithology, bored and frustrated with research which requires her to dissect the layers of bird beak hour after hour, a task which goes against what she feels is her nature, having been raised to explore the outdoors when bored. Pat her boyfriend, soon to become husband, is an artist, a carpenter-builder who sympathizes with her plight and ultimately agrees to her plan to trek to the Arctic. He builds them rowboats and off they go. What is most striking about this memoir is the clarity and directness with which Caroline writes about their relationship to each other and to the natural world. This book is never sentimental or sensationalistic even though things go horribly wrong, as, for example, Caroline and Pat nearly starve waiting for a resupply gone awry, and they are often faced with legions of unbearable mosquitoes. Much of the adventure comes from the sheer scope and scale of what they see and feel; tundra swans fly over by the thousands or they wake to realize they had unwittingly placed their tent in a thoroughfare for 1000s of migrating caribou; and then they find a hummingbird that seems frozen and lifeless until warmed in Caroline’s palm. And they startle upon mammals – wolves, coyote, bobcat, caribou; bears --polar bears, (yes, real polar bears) and grizzly sows with their cubs that are more often than not merely curious; and a gigantic whale boneyard. At the end of the trek, Caroline’s father says, “I don’t think you know what you just did.” And the author’s moving response is that it what she has done has “less to do with the number of miles than with the clarity six months in the wilderness has offered. The peace that comes from letting go. The certainty that comes from being loved. “The Last Romantics” by Tara Conklin, author of best-selling “The House Girl,” begins with the conceit that Fiona Skinner is a 102 year-old poet, asked by an audience member to comment upon the character Luna from her celebrated work “The Love Poem.” Fiona’s answer is the story of the Skinner family, her life with three siblings. Her response is the novel itself. This tale begins with the sudden death of patriarch Ellis Avery Skinner, and then and “the pause,” in which the mother Noni takes to her bed for three years. Renee Skinner, eleven, and the oldest child, runs the show in a yellow house with a swing set, a pet rabbit named Celeste, charts of duties and weekly deliveries of groceries. While this is a romantic tale, with charmedly feral children baking their own birthday cakes and swimming in muddy ponds, the novel becomes more interesting and less bucolic as the children’s world collapses. The unraveling begins when grief-stricken Joe, the only boy, takes a metal pole and smashes windows and any and all glassware he can reach. This rampage begins Joe’s baseball career, but is also a foreshadowing of the problems that will follow Joe, and the others, who are, if nothing else, spiritually attached to him throughout their lives. 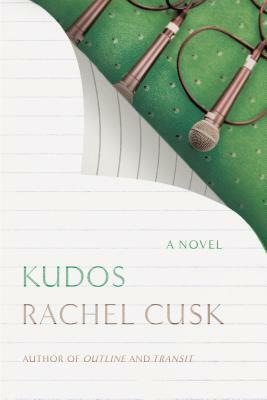 “Kudos” is the third book in a trilogy that is nameless, which is ironic and yet fitting for Rachel Cusk’s work. Cusk is, by the way, my cup of tea—but certainly not everyone’s. She is philosophical, precise, and so very slick. And “Kudos” is a good title for the trilogy’s final book (despite the opinion of Dwight Garner of the New York Times)—but more on that to follow. In “Kudos” a first-person narrator, an I, a me, is announced from the very first sentence. “The man next to me…” she says, and from then on this interlocutor, (a better term than character for the voices of actual characters would reflect more obvious depth and shaping) is sprinkled throughout the book. But the presumed narrator, the I/me, is effaced. We learn little to nothing about her personally, except through what she notices, and thus what her interlocutors tell us; her name, Faye, is mentioned only once in each novel of the trilogy. The paradox of course is that it is Faye who is talking about other people and telling their stories. The novel is shaped by what she notices, what she curates while she seemingly isn’t really noticing . . . it’s a bit of a hall of mirrors, now you see her/he/she /them, now you don’t. She is in a sense triangulating —it is she who fixes the interlocutors’ perspectives; indirectly it is Faye is saying that THIS is the perspective that matters because it is the one she has noticed, the one she points out. First of all, Cusk claims that kudos (at least as it is used in the novel) is a back-formation. Garner is right; kudos never was plural—the plural affix never existed in the original Greek in which the noun kudos is singular. Through a linguistic process (or Cusk’s interpretation of one) of back formation, kudos is reformulated and used as plural to mean something like prizes. The back formation changes the meaning. So, Faye’s people having conversations are often commenting on their search for a pure form, an older form, of something they have encountered—whether it be a cake or their own families. In back formation kudos are undeserved, they merely stimulate our dream to find the “real” thing, the singular. This novel, for me, is about histories of representation—the original, the pure, taken back and reformulated to mean something else that suits the occasion, as Brexit reformulates the EU, a second marriage reformulates the idea of family. Cusk is also playing with the notion of copies, and in “Kudos” the act of copying is one that (ironically) multiplies. During a season of falling leaves and bare branches, this novel will have Mary Shelley whispering in your ear. “Melmoth” is a gothic mashup of history and politics, intertexuality and a legendary ghoul, a wandering ghost named, of course, Melmoth. 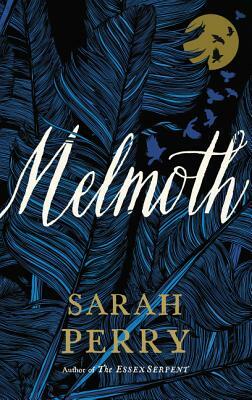 Sarah Perry’s new novel is related, roughly, to “Melmoth the Wanderer” an 1820 Gothic novel by Irish writer Charles Maturin. In his version the protagonist has sold his soul to the devil in exchange for 150 extra years of life. Perry borrows this conceit as well as the structure of Maturin’s novel, which is composed of stories within stories. Perry’s character who leads us to Melmoth is Helen, and the city is Prague, “the mother of cities…with a thousand spires.” Helen is a translator who spends her days with a nearly Trappist commitment to silence in the green-lit library and her nights with an odd landlady sipping bitter green tea. She is given a folio of papers by her friend Karel, a man in a violet cashmere sweater. The documents gradually reveal Melmoth bearing witness to cruelty and violence. I was most horrified by the scenes in post-war Prague wherein the natives were sending the Germans to camps, the Germans who had themselves turned in their Jewish neighbors to be deported to these very same death traps. Melmoth follows and taunts the Germans, her feet bleeding as she walks and turns into smoke. She also ghoulishly observes a Turkish beggar who enables the slaughter of the Armenians. Barbara Kingsolver? This week I have been thinking about her work, much of which I have read and enjoyed, especially The Bean Trees and Poisonwood Bible. How to describe what she does best? I queried several friends, all Kingsolver fans: “How would you describe her style, the arc of her work, her characters …?” Compelling and stimulating capture the gist of their remarks. None of them, however, mentioned the seemingly effortless quality of her sentences, which is what strikes me as her singularity. And for the most part, her newest novel, Unsheltered, demonstrates that distinctiveness. Unsheltered is comprised of two stories, two fairly separate novels, rather minimally braided together by the image and history of a house, which introduces the notion of shelter. These stories take place in 1871 and the 2016, very different cultural Zeitgeists…or maybe not. Kingsolver seems to be making an argument that these two time periods have more in common than seems to be obvious at first. The chapters alternate stories and are woven together with the last sentence of each chapter giving rise to the title of the next chapter: “Investigators.” (final sentence of Chapter 2) “Investigators” (Chapter 3 title). Unfortunately, because these repetitions don’t add up to much, it’s a gimmick. The contemporary tale is led by Willa Knox, the matriarch of her clan consisting of Iono her Greek, and from many accounts Adonis-like husband, their grown kids, Tig (short for Antigone) and Zeke, whose wife commits suicide shortly after giving birth so that Willa and Tig are left to raise the baby as they also care for Nick, Iono’s irascible, right-wing father on his death bed. Willa and Tig are speakers for many contemporary debates, from health care to environmental protection and climate change. These women are also the most developed and interesting characters. The family has been somewhat nomadic as Iono has gained and lost tenure; Willa and clan have moved to Vineland, New Jersey after having inherited a house, which is (conveniently) where Iono has found a teaching position at a local university. This story begins with the sentence, “The simplest thing would be to tear it down, … the house is a shambles.” And yet it is the place where the family takes shelter, where Willa arduously tries to hold together the project of what family can be. The second story takes place in 1871; the main character Thatcher Greenwood is a science teacher and more importantly a devotee of Charles Darwin despite living in a time and place when and where the war between science and “faith” is raging. And yes, this battle aligns with themes of the contemporary story; “Lock him up!” are the cries of the church-going populace after listening to Thatcher’s lecture on Darwin. I didn’t put this Kingsolver down, didn’t ever think about not finishing it. And yet, its faults are easy to point out: its gimmicks, the prose occasionally preachy or encyclopedic (instructing us in 19th century scientific theory), or even just simply long-winded and verbose in need of an editor and a sticky cutting floor. However, the themes of shelter and the dilemmas around its absence are compelling (and so I return to justify my friend’s claims for Kingsolver’s work). Shelter is both real, and an image and a metaphor. 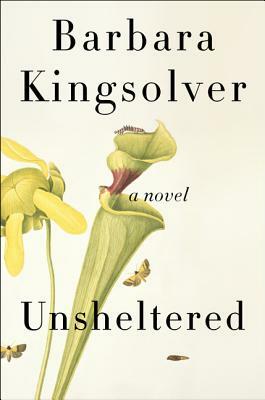 Shelter, Kingsolver seems to be saying, is found in family and relationships, work, nature, and religion, and yet to be unsheltered is not necessarily bad, entailing a worldview that is also enriching, one that promotes both questions and a lack of easy answers. Many of our best novels these days have come disguised as meditations or dressed as fugues; Rachel Cusk has finished her trilogy (Outline, Transit and Kudos) and Flights by Olga Tokarszuk has won the 2018 Man Booker prize. Or maybe, what we have been gifted with are essays, travelogues, and obsessions camouflaged as novels. Whatever category these texts fall into, they are at once stunning, mesmerizing, and perplexing. 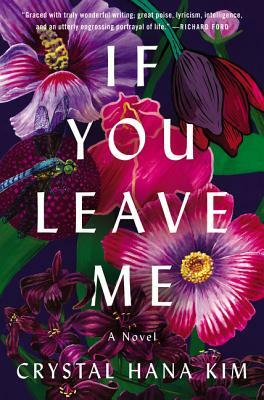 In late August 2018, the US news is replete with photos of tearful relatives being reunited across a divided Korean peninsula; reunions that have been postponed for decades are now staged for a meager 11 hours spread over three days.And so, very timely is Crystal Hana Kim’s debut novel, If You Leave Me, a family saga taking place in Korea from 1951 until the late 1960’s. 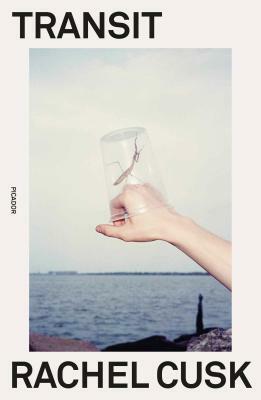 The novel is told, in separate chapters, from the perspectives and voices of Haemi, whose thoughts and emotions are the main force of the novel, Kyunghwan her friend and childhood crush, both 16 as the novel begins, Sijoo, who comes from a family with more financial and social stability than that of Haemi’s, which leads Haemi’s widowed mother to choose Sijoo as Haemi’s betrothed. Also helping to create transitions in time are the voices of Hyunki, Haemi’s tubercular brother, and finally Solee, one of Haemi’s daughters. These voices and the lives from the north and south of Korea touch on the particulars of the Korean conflict(s) and terms such as 6-2-5 seed the text, but this is not a historical or political novel. At times, If You Leave Me languishes because it focuses on developing these characters, through the alternating chapters and voices, rather than on the movements of the narrative. War, refugee camps, poverty and mental and physical illness are all factors tearing this family apart, rifts which hamper Haemi’s restoring her one fulfilling love. Though Kim provides many details of Korean culture (slippery noodles, silvery sardines, and ribbons of red pepper paste, for example), they provide merely the background or frame for what is finally a love story that may be more human than specifically Korean. Maybe it is my habit of watching Scandinavian crime shows on Netflix that lured me into The Forbidden Place. Or maybe I just found so much to like about its contexts: bogs and contemporary art and long nights of research and hikes with a thermos of coffee. 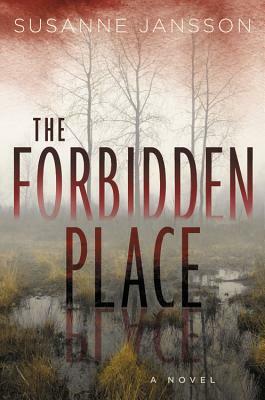 In any case, I was thoroughly drawn into The Forbidden Place, which is technically Susanne Jansson’s debut novel, even though she has published art criticism and crime stories in magazines for years. This novel is a mystery, a mystery of multiples. Nathalie, a biologist, is beginning field experiments measuring greenhouse gasses in the bog and working long nights in a remote cottage on her dissertation. She unwittingly comes to investigate the puzzle of Johannes, an art student who daily jogs by her cottage before he is attacked and left in the bog with a pocket full of gold coins, an ancient sacrificial ritual. It is not only Nathalie who investigates the mysteries of the bog but also Maya, a crime and art photographer who decides to investigate, among other things, the ditches in the bog that seem to be readied as graves. 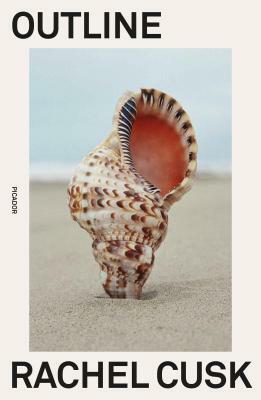 Much has been written about Rachel Cusk’s latest work, placing it outside the lineage of traditional novels; in fact, some claim she is reinventing the form, but that assertion is hyperbolic unless we consider Cusk alongside the many other heirs to the genius of W.G. Sebald. New forms of the novel or not, certainly, Outline and Transit (I have not yet read Kudos) are both fascinating, full of ideas and beautiful sentences rather than plot and sustained character development. Outline is comprised of ten conversations, the first of which begins when the narrator, on her way to Greece to teach a creative writing class, becomes absorbed in the stories of her seatmate on an airplane. As the chapters progress, the narrator does very little and says even less herself. The words she speaks are those of the people around her as she retells their stories. and slowly we also learn something about her own thoughts and dreams. Fortunately, Transit, even more dense and lyrical than Outline, has continued the development of Cusk’s ideas. The narrator, Faye, (named only once in both Outline and Transit) is interested in the nature of story, perspective, objectivity and subjectivity, copies, mosaic, pastiche, palimpsest, and … and. The central event of Transit is Faye’s renovating a London flat so that her sons, living with their father, can join her as she changes along with the life she is living. Despite her narrative remove, Faye’s (and Cusk’s) pain in both books is palpable. Her gaze at unfragmented family life is unflinching. Faye recounts the thoughts of her student Jane: “…the story of loneliness is much longer than the story of life. Without children or partner, without meaningful family or home a day can last an eternity: a life without those things is a life without a story…no narrative flights, no plot developments, no immersive human dramas…” (141). But by Transit’s end Cusk suggests that both she and her alter ego Faye may have found something other than narrative “to alleviate the cruelly meticulous passing of time” (141). 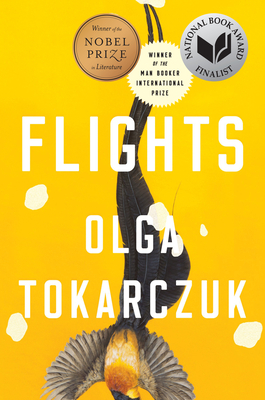 Flights is a book I could not put down, even though I tried, repeatedly. Yes, repeatedly I would swear it off, feeling that I’d been reading too much, only to find myself searching under my bed for the place where I had stashed it. Reading it I was lost in the whirling images of space, travel, motion; maps and drawings from Agile Rabbit Book of Historical and Curious Maps, pages of fragments, not numbered as chapters but rather labeled with respect to theme, with a narrator even less present and the ideas (seemingly) less coherently built upon than in Cusk’s two books. But I loved it. What a beautiful story! 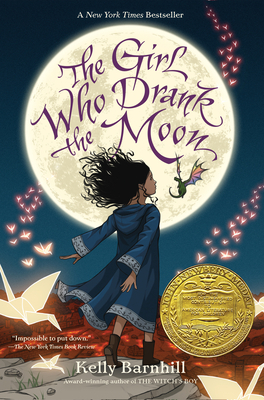 A young girl, Luna, becomes “enmagicked” by accidently drinking the moon while under her adoptive grandmother’s care. Luna’s family is comprised not only of this grandmother figure, but also of a pocket-sized dragon, and an ancient swamp monster, who is also a poet with a profound relationship to the Bog, the source of all life and nourishment. A “Sister of the Star” who lives on sorrow (as in eats it) almost gets the best of Luna and her hodge-podge family. But in a moving, but not overly sentimental, ending, love wins out. Scholastic books and Reading Rockets both recommend this novel for independent readers from 6-12 grade. It’s a great book for readers who like fantasy, suspense, and strong female characters. Robert Moor begins On Trails by recounting his five-month odyssey as a through-hiker on the Appalachian trail. Moor’s musings about his experiences are fed by research into fields such as entomology, mammalogy, botany, natural history, and Native American culture, and this intellectual meandering leads Moor to consider what trails mean in both broad philosophical terms and in their concrete realities. Readers interested in outdoor adventure stories may find these elements too sparse in On Trails. However, those who want to dip in and out of Moor’s stories and savor his ideas about trails will find this book a pleasure, a good summer (but certainly not a beach) read. Moor discusses how trails are created through a continual and communal process of making sense; they emerge as a form of shared, collective intelligence. The complex behavior of ants in making trails, for example, results not from smart individuals but from smart systems. Moor views trails as tools, an externalized form of knowledge and cognition that beings, from plants and slime molds to humans, use to make more trails. While these notions are fascinating, equally, if not more interesting to me were the details about creatures: the primitive intelligence that compels slime mold to move; ants leaving hints for each other; taciturn sheep; elephants and their “topographic genius” loving to make trails because of their social structure, habits of walking and the structure of their feet. And indeed I smiled at the story of the elephant, Shirley, who makes a trail to her former companion’s grave. So, thanks Robert Moor for taking me along on your journey, the best kind, both intellectual and deeply sensual. 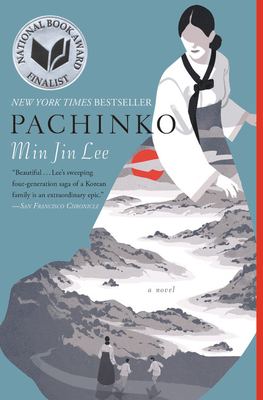 Pachinko is an old-fashioned novel, a saga of four generations (1932-1989) of a Korean family living in Japan coping with the distain and racism that had or have become deeply ingrained in Japanese attitudes toward Koreans. Lee tells the stories of people who struggle to construct family relations through and often in spite of romance or marriages of convenience, and the omnipresent threat of poverty. The characters are resilient. Over and over they remake themselves to survive. Written in a straightforward, linear, frame, the novel comes alive with details of not only the emotion but also the materiality of everyday life: shoyu, barley tea and fermenting cabbage; rough cotton patched with tiny pieces of silk; cramped quarters redolent with the smells of food and illness. This is a novel I couldn’t put down. I climbed into the story each evening and read until I couldn’t keep my eyes open. The narrator, known only as ME, has been raised by a psychologist father who uses ME in his experiments with Barbie and Ken dolls and bullhorns. Dad doesn’t make it into very many pages of the story, however; he is killed by white cops. 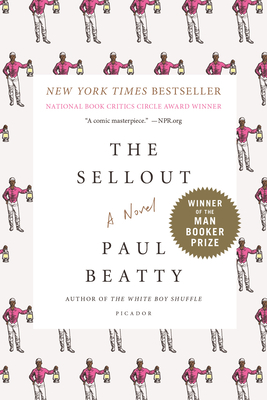 Working to organize his life on an urban farm in a town that has literally disappeared, ME, and his best friend Hominy Jenkins, cooperate to reinstitute segregation (and thus race) into the workings of everyday life – buses, schools, etc. And so Beatty works it. And works it. From the first page to the last, this novel’s caustic humor, unfailingly spot-on, is like a sucker punch; it got me repeatedly even when I least expected it. But these are not mere jokes, rather they are ideas that persist in offering an understanding of how race works in the contemporary U.S.
A slim volume of poetic reminiscences and creations divided into three parts: first, her exploration of and search for remnants of Simone Weil and of Paris, including her 50 year old memories of the Paris she explored with her sister; second, a tale with the tone of myth and children’s stories (reminiscent of Anais Nin as well), an obsession with a skater, a girl alternately named Eugenia and Philadelphia, parentless, countryless, but speaking more languages than she has fingers, living near a frozen pond; third, an exploration of why Smith (or anyone) writes as she searches for “a glimpse of the divine that will also become a poem” (92). 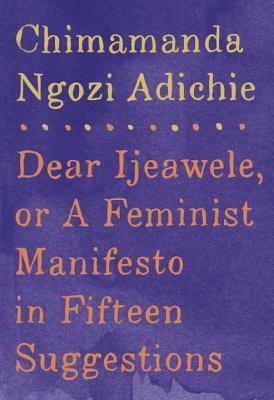 Written as a letter of advice to Adichie’s childhood friend, perhaps the most compelling suggestion is to “Make difference ordinary. Make difference normal." For me all the other suggestions pale and in some senses are incorporated under this one. In Orhan Pamuk’s Snow, written and translated in the early 2000’s, we find the tracks of Turkey’s secular westernization and the continuing struggle to cover them over. This is a novel situated in a country veering among extremes. A major question at the heart of Snow is how to read it, how to walk the line between parody or farce and serious realism. The story takes place over three days during a sometimes mystical, sometimes oppressive, snowstorm. Pamuk is the narrator telling the story of Ka (an abbreviated name reminiscent of Kemal Ataturk, Kurds and Armenians, K as in Kafka…Pamuk loves codes) in Kars, a forlorn city in Anatolia – far eastern Turkey. Ka is a poet who hasn’t written a poem in four years, but this dry spell will end as he comes to Kars from Germany to report on upcoming elections and a spate of suicides by headscarf girls, young Islamist women who, contrary to the governing party’s policies, insist on covering their heads. The ubiquitous snow functions as a metaphor for troubles in Ka’s spirit. The westernized atheist Ka finds revelations—God and literary inspiration—in the snow storm. 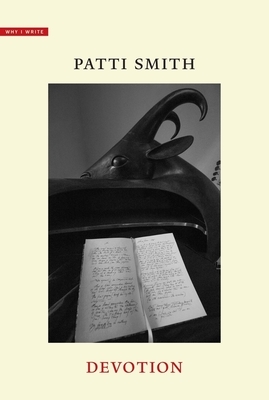 In the tone of parody, his poems swirl as verbal visions; he has to sit down to receive them. Walking an interpretive tightrope, we the readers are never treated to these poems nor is anyone else. Even Pamuk the narrator cannot find the poet’s notebook after his death. All we have is a snowflake diagram of poetic impulses (a kind of Western/Enlightenment move to record and measure) and a table of contents. The poems themselves and their overblown revelatory arrival are … parotic. Coleridge, Ka is not. Snow (as metaphor) also covers the past and offers the hope of new beginnings to the head scarfed women and the young radicalized men from the religious school. Further, snow works on a macro-level to describe the state of Turkey; snow covers the mud of Turkish history and its Armenian atrocities; snow also stands in for ideologies of purity – Western and Eastern- competing for attention in the novel and its many characters. Pamuk is a master of intricate, even obsessive (Nabokov? Dostoyevsky?) story- telling. Sometimes the wry parody and realism intermingle as in the antics of terrorists, spies, undercover police, double agents, assassins, theater troupes – agitprop doubles, and newspaper reports written by soothsayers. Pamuk’s novels are tapestries and labyrinths: the novelist revels in images and symbols: the color green, eyes both blue and green, teashops, rake and cigarettes; talismans lie in a charcoal-colored dog and a coat from Frankfurt. Pamuk indulges in nostalgia for the Ottoman Empire and Armenian architecture: arches and stairs. Can we trust the narrator? Can we come to care about characters who are more often than not caricatures? Does that matter? Are there too many words and too much snow in this novel? Depends upon how you read it—and how the reader chooses to find meaning among the human foibles, the mud of history, nation building and religion, and Pamuk’s ubiquitous image of snow. Nutshell – yet another Hamlet rewrite? Yep—and not only that—but Ian McEwan, the author of Atonement (and many other acclaimed novels), has created a narrator who is in utero—yes, that’s right—a Prince Hamlet fetus who is fully sentient, with an educated adult’s vocabulary and sensibility. Far-fetched of course, but somehow it works. In contemporary London, Trudy (yes, short for Gertrude) her husband John Cairncross, named for a real-life WW II double agent, a burned-out poet; his brother Claude a real estate mogul; and Trudy’s in utero Prince Hamlet comprise the cast of characters. As to be expected, Trudy is having an affair with Claude and the two are plotting to poison John. So what momentum and insight does this version of an old story hope to provide? Actually the question should be about the story and its games, which are full of literary and pop culture illusions, social commentary and murderous intrigue. It’s clever, funny; the references range from hip-hop lyrics, mixed up Shakespeare plays, and references to young coeds’ speech habits of up-speak and vocal fry. The tiny cramped narrator, often tipsy from his mother’s Sancerre, or on a bad day Pouilly Fume, is sardonic, sarcastic, and worldly. 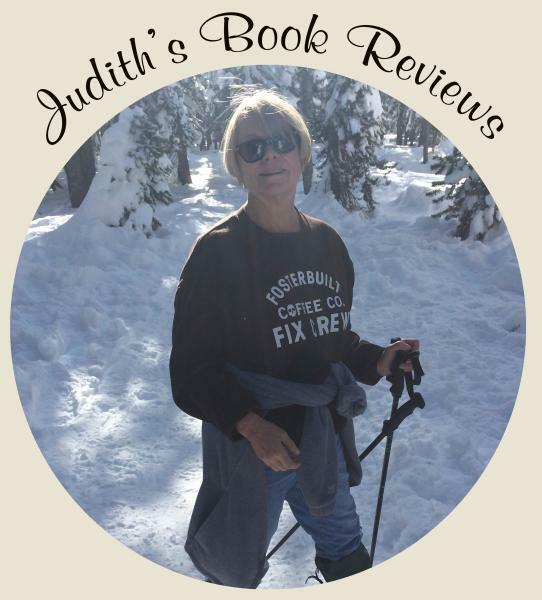 We follow his impressions and insights to learn of twists and turns, and ultimate undoing of Claude and Trudy in their attempts to undo, in turn, the sad sack John. So, what does Nutshell provide in addition to the amusement and fun of the puzzle? To this reader the rewards also lie in McEwan’s prose: impeccable and consistent, never showy, but always calling subtle attention to its smooth glassy surfaces, thus revitalizing the father, son, brother struggles for power and truth. This is a story that begins with a grueling ending--a horrific shock--an event of such staggering gravitas that it is hard to imagine how the story and its people can move forward. Landreaux is out hunting and accidently shoots and kills his next door neighbor’s five year old son, Dusty. This is worst thing that could have happened. Grief grinds away at both families. Author of 15 novels (including The Round House, which won the National Book Award), many volumes of poems and children’s stories, Erdrich draws on Ojibwa native knowledge and customs to bring her characters to life. After the shooting, Landreaux and his wife Emmaline retreat to the sweat lodge for answers: How to live with this tragedy? Native traditions provide a brutal answer –Emmaline and Landreaux will give Peter and Nola (Dusty’s parents) their own five year old son, LaRose, a boy who carries the family heritage in his name, each generation having named a child LaRose for over a hundred years. The story of LaRose is anchored in the relations among these two large, interrelated families; (Nola and Emmaline are, after all, half-sisters). Some of the most poignant moments are in the relations between the half-sisters – as Nola rejects all of Emmaline’s attempts to stay connected to La Rose. She leaves soup on Nola’s porch and Nola pours it out. But slowly LaRose’s new family find love enough to allow LaRose to visit Emmaline and Landreaux and eventually to split his time between them. In this as in her many other novels, Erdrich, never didactic, is able to weave in the native ways and knowledge that provide her characters with ways of moving forward in lives that often hover on the edges of poverty and conflict --cultural, political and familial. A fascinating, haunting historical novel inspired by 16th-20th century cases of “fasting girls” in the British Isles, Western Europe and North America, girls and young women who purportedly went without food for long periods of time, often in quest of religious ecstasy. Written by the author of the bestselling novel and award-winning film Room, The Wonder is narrated by Lib, a British “Nightingale” nurse who has been employed to watch Anna, an eleven year old whose family claims she has not eaten for four months, her last bite being the host of her first confirmation. Lib believes her job is to figure out how Anna is actually being fed but the family and the town thinks her task is to substantiate the wonder of Anna. Lib is quick to judge Anna’s family and community, in fact the Irish in general, as ignorant, superstitious: “What a rabble, the Irish. Shiftless, thriftless, hopeless, hapless… “ (147). Anna is a “trickster, a great liar in a country famous for them.” (73). In The Wonder the ideological worlds of science (& the Enlightenment) and religion clash; science is demonstrated in medical measurements, charts, literacy/writing, while religion is enacted through ritual, custom, and the orality of chanted rosaries, prayers, songs, the heat of peat fires and muck of bogs. But wherein lies the truth? When Lib’s vigil, her watching, reveals nothing, she comes to question her own observations, her truths. How is that Anna is still alive? As the investigation proceeds, with the pace of a psychological thriller, Lib finally gain insights, and dark secrets of the community are revealed, not through Lib’s charts and measurements but through intuitions she garners from her observations in nature. One strength of the novel lies in its imagery – eyes that cannot see what is in front of them are like pebbles, mouths stuffed or gaping cannot speak truths they do not know, and then there is water, and water is everywhere, soaking into everyone’s souls drowning light and enlightenment. In the end, smoky, molten secrets are revealed, a man saves the day on a horse (perhaps neither the best image nor plot twist Donoghue has to offer) and Lib has gained, if not compassion then at least, a modicum of understanding of those she had spurned and about whom she had understood nothing. So much praise, has been heaped on My Name is Lucy Barton by Elizabeth Strout. The author of Pulitzer Prize-winning Olive Kitteridge, which was made into a TV movie. The praise, I find, to be well deserved indeed. This slim novel, structured less around plot than short bursts of penetrating insights, has been described as “quiet, mystical,” “spare,” “distilled,” haunting,” “shimmering” and “an elegant testament to human resilience” to cull from the panoply of reviews. Lucy , the narrator, is a writer who has been hospitalized for nine weeks, separated from her children and husband. She wakes one day to find her mother, from whom she has been estranged, sitting at the bottom of her bed. A relationship to her mother is delicately knit through the stories that Lucy’s mother tells about people they knew and things that happened in Lucy’s childhood of penetrating poverty. Her mother is tender, whimsical, calling her “Wizzle,” a pet name from childhood and yet the gaps between them remain, deeply cut. Lucy’s voice is mesmerizing; singsong, repetitious, as though she is trying to convince herself of her truth. Lucy tells us that she is only telling one story—that of her relationship with her mother or perhaps of motherhood. But Lucy also articulates her experience of family, and “the tangled root" of their relations. 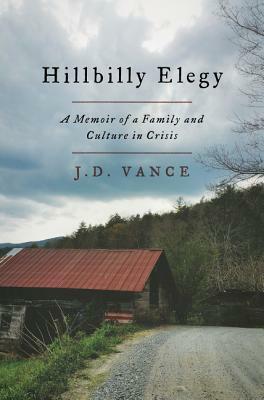 Hillbilly Elegy (a title made for best-seller branding) by J.D. Vance is a fascinating narrative, a memoir, (both moving and infuriating for this liberal Democrat) sprinkled with bits of sociological and psychological analysis. His portrait of hillbilly culture is rife with contradictions (as any cultural portrait must be) and stereotypes. The Kentucky hills are at once rolling and green and full of trash and food stamps; the terrain so loaded with violence, one could easily wind up looking down the barrel of a gun. Vance’s grandmother “Mamaw,” proudly asserts that she would rather shoot than argue. The family moved to Ohio for the promise of a steel mill job, but soon they and their hopes of upward mobility were chewed up by drug addiction, alcoholism, divorce, sporadic employment and persistent poverty. Vance, a conservative, blames not globalization nor the growth of technology for the social, psychological and economic problems he experienced in the “rust belt” but rather “Our government [which] encourages decay through the welfare state” (144). Much of Hillbilly Elegy is Vance’s bootstrap story—his road from the Marines to Yale Law School. His story inspires (or terrifies) in the expectations he projects for his fellow hillbillies. He recounts, for example, that because of the Marines he easily learns to scale a rope with one hand, graduate from Ohio State and achieve admission to Yale law school. All of this individual will was modeled for him by his grandparents, “self-reliant, hardworking.” His Mamaw “showed [him] what was possible” (149). Most apologists for Hillbilly Elegy advance the claim that it is just these hillbillies from the “rust belt” who are the voters giving Trump his victory, voters who felt left behind by Obama’s administration. Vance, it seems, hopes to be a spokesman for just these people. What a multifarious, deep and dark, occasionally joyful, passel of stories! 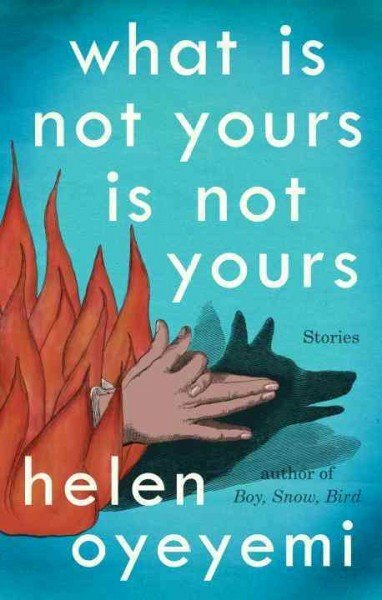 What Is Not Yours Is Not Yours, by Helen Oyeyemi, begins with “Once upon a time” and draws the reader into fictions that are more to be wrangled with than read. The characters slip and slide: shape-shifters, gender transmogrifiers. The settings are full of locks and keys, doors that won’t stay locked, a magical rose garden: an appearance from a Siamese fighting fish named after a 60 A.D. warrior queen, Boudicca. The stories often have the air, imagery and feel of the Grimm’s brothers’ world (Little Red Riding Hood, for example) with a little bit of Borges. The characters draw on Greek, Roman and Gaelic mythology: one Tychee Shaw, wandering between stories, smelling ambrosial, is named for the goddess of fortune and luck. In one story she finds a wedding ring in the bottom of a beer bottle. In another “Is your blood as red as this ..” she auditions for a place in a puppet school with a chess piece as a puppet. The language of these stories is radiant, slippery, funny: rain falling through sunlight is “fox rain,” a character remembers another by his smells of loan shark cologne. So as the weather changes, Oyeyemi might say,the air is “makeless” in its readiness for snow, this is a great book to slip into. Enjoy Oyeyemi’s strange world—but remember what is not yours… is not yours. 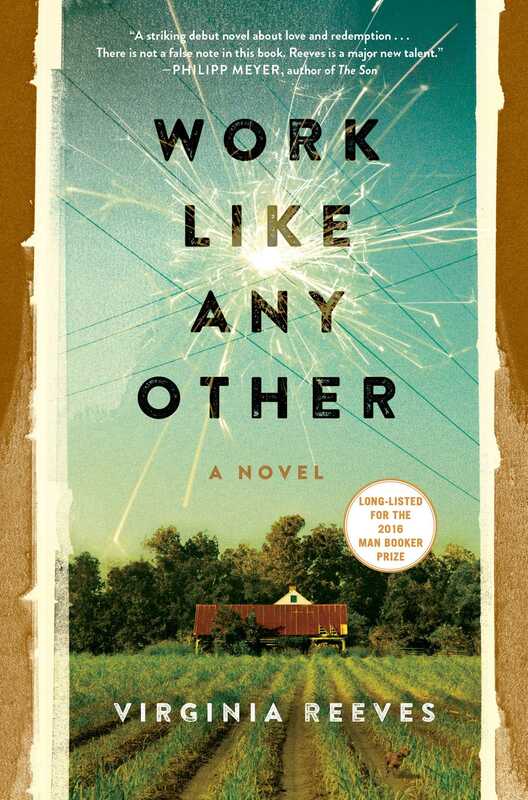 Longlisted for the Man Booker Prize, (but for the winner, check out Paul Beatty) "Work Like Any Other" by Virginia Reeves strives for elegance, and arrives at melancholic charm. Roscoe Martin, the main character and the narrator of every other chapter (the remaining chapters have an omniscient narrator) is the only character with a substantive voice. Set in 1920’s Alabama, Roscoe and his wife Marie settle on his father-in-law’s land. But Roscoe, never interested in working the land or animals on the land, is an electrician. He wants to light up houses and the land, to electrify farming. This is his calling. In its intransigence, this identity will be his downfall. His reckoning. But the story of Roscoe’s hubris, his determination to illuminate, is not as compelling (not as subtle, perhaps) as the other story—of his relationship with his son and his wife and his son’s relationship with his wife. I was very much drawn to the story of Roscoe’s family, its disintegration and each member’s attempt to hook the notion of family to the deep waters of guilt, redemption, identity and love. 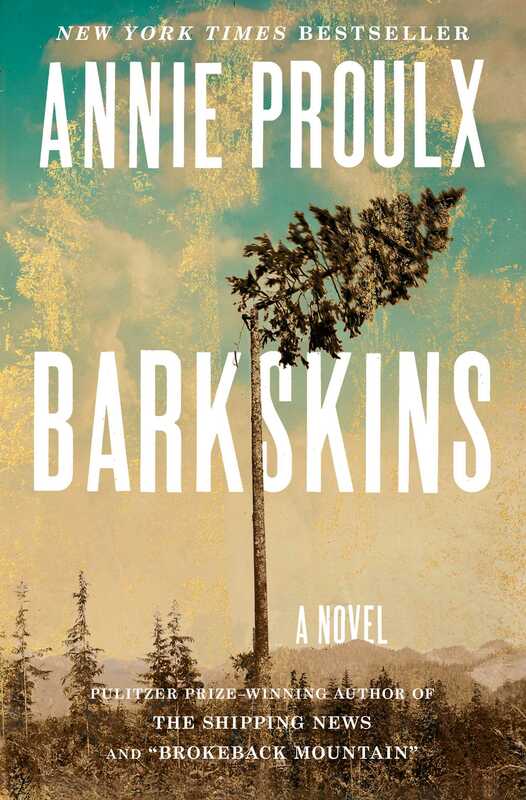 “Barkskins” is Annie Proulx’s latest novel, touted as her magnum opus. It is a big book, an epic stuffed with big themes and long stories. It has been compared to Michener’s “Centennial.” Perhaps the scope of the stories justifies this comparison, but Proulx is, to my ear, a much more conscious stylist. The novel begins in 1693, in Canada, with Renee Sel and Charles Duquet, two French indentured servants. Duquet is stunned by the landscape—the forest, in particular, which he feels “is infinite,” a sentiment that predicts the devastation Duquet feels he and others can wreak on the ancient woods. Sel is forced to marry a much older woman, Mari of the Mi’kmaq people, while Duquet flees and founds a logging empire. While the histories of Barkskins, men who cut down trees, begin in individual violence and oppression (for many are indentured, unwilling participants in a system founded in greed) the stories are writ large though colonization and deforestation. Although the novel follows the two families through 300 years, its true focus is the destruction of woodlands through logging and fire, and the oppression of the Mi’kmaw people. A familiar and tragic tale of Indians and white people. So the novel is, of course, didactic; how could it not be given the heart of its story? The main characters, while interesting, are nearly caricatures (at times I hear traces of Dickens’ minor characters). The important scenes are neither small nor domestic. Covering 300 years, the novel cannot pause to develop any of their human insights and actions fully. This flaw, if it is one, is most apparent in Proulx’s unfortunate treatment of the Native Americans and particularly their speech, which she models not on a real language but on—? I am not sure what her idea of indigenous language is as the English pidgin is not consistent from one page, one moment, to another. An epic, a vast historical novel, a good read that kept my interest even when I was irritated or devastated—Proulx’s masterwork? Maybe not. My friend finds “In Other Words” sentimental, and yes, the guiding metaphors—desire, falling in love, motherhood are quite romantic if one reads from a post-modern perspective. But, for me, the larger problem is that there are no real people (other than the author) in this memoir of language learning. Lahiri acknowledges that she has a husband and children, but they occupy no space. Indeed Italians, and even Italy itself, make few appearances and when they do they seem to be props as Lahiri constructs an elaborate puzzle. I’m struck by how different this story of language learning is from that of Alice Kaplan’s “French Lessons,” which is populated with history, friends, family, tragedy. Kaplan, for example, writes, “French isn’t just a metaphor either—it’s a skill. It buys my groceries and pays the mortgage.” Nonetheless and despite their differences, Kaplan and Lahiri seem to end up in a similar place. Kaplan writes, “I’m grateful to French … for being the home I’ve made from my own will and my own imagination” (215). 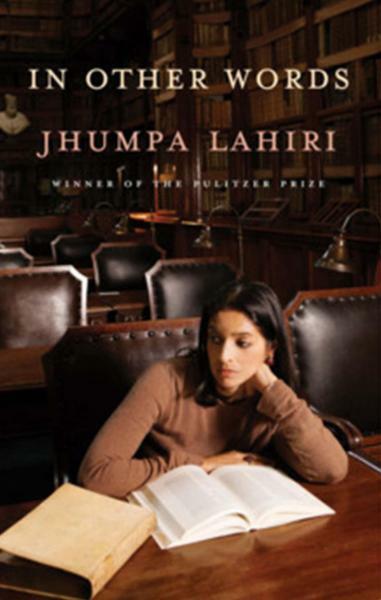 Lahiri, I suspect, feels the same about Italian; she would simply express it in other words. 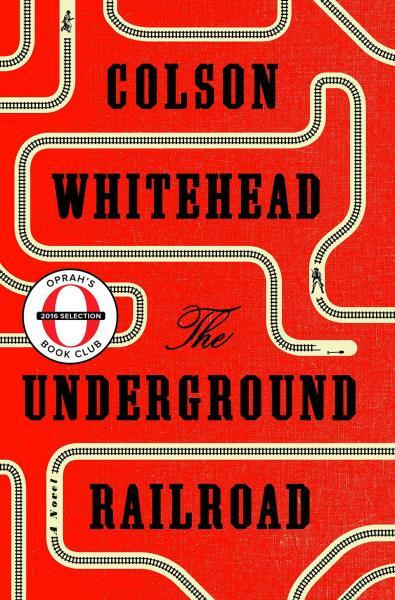 Colson Whitehead’s novel “The Underground Railroad” is a clanging, bloody indictment of slavery and the institutions and ideologies, such as cotton and indigo farming that supported it. It is an important novel for many reasons—but most of all because we must never forget this hideous history. The novel owes great debts to Toni Morrison’s “Beloved,” to slaves narratives that Whitehead studied carefully, and even to the film Twelve Years a Slave (McQueen). The novel is rich in historical information. And yet it is also an imaginative universe in which we find the story of Cora running to the North, running from Ridgeway, the slave catcher who has his sights on Cora because her mother escaped him. In this novel the railroad is an actual railroad. Mysterious, dark and dank and yet it somehow effectively transports slaves from one state to another. One of Colson’s more effective points is to illustrate how slavery was not a uniform institution, even ideologically. North Carolina was much crueler than many other southern states, for example. While reviewers are generally disappointed with Here I Am, this reader is not. They long for the pyrotechnics of Foer’s earlier novels (Everything Is Illuminated & Amazingly Loud and Incredibly Close), but perhaps the disintegration of a marriage and the clinging to and reconstruction of family is a tale that needs no fancy staging. No pyrotechnics in Here I Am, but beautiful sentences and deep sentiments. Perhaps too ambitiously, Here I Am reaches to include not only family but kin, Jewish identity in the US, and the state of the State of Israel in the scope of its narrative. But where Here I Am succeeds is as an old-fashioned novel, full of rich metaphor—silence, fists and space, even Israel itself—to name a few. This lyrical language (perhaps ironically) is this novel’s strength. Alexander Maksik has many ideas at play in this interesting novel, maybe too many, but they kept me reading. Maksik’s lovely prose, reminded me of James Salter in The Light Years, full of sensuous domestic detail. Sometimes, the ideas and strains of the narrative don’t cohere. I, for example, did not find credible the leitmotif of Joe and his mother’s (probable) bi-polar mental illness, nor did I appreciate the sudden shifts in point of view as the narrator self-consciously addresses his readers. But in spite of the novel’s several flaws, the portrait of the father, his aging, and his evolving relationship to Joe and Joe’s finance is moving and even, very quietly, mesmerizing.